Spolier Alert: The ocean is not a trash can. Unfortunately, the ocean is increasingly becoming a common dumping ground for trash. 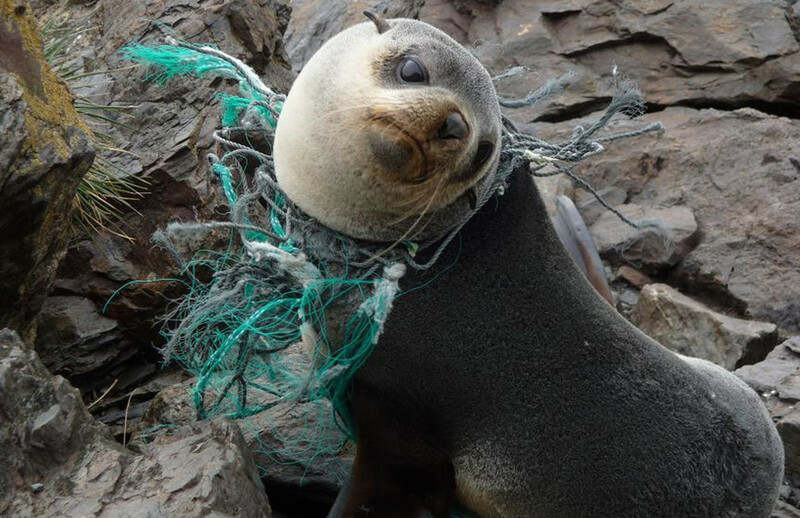 Plastic and other trash keeps making its way into the ocean and wreaking havoc on marine life. In particular, plastic is a major concern. When marine life ingest what is known as micro-plastics they can die as a result. Additionally, plastic poses other threats to marine life, such as causing animals to become entangled or strangled by nets and plastic 6-pack soda rings. Sadly, marine life are becoming victims of man’s carelessness of polluting the ocean. Ocean pollution not only harms and endangers marine life but it also disrupts the balance of the health of the ocean. Dumping trash into the ocean, such as plastic, is dangerous for marine life. Ocean pollution is ruining the habitat of marine life and is endangering their lives. 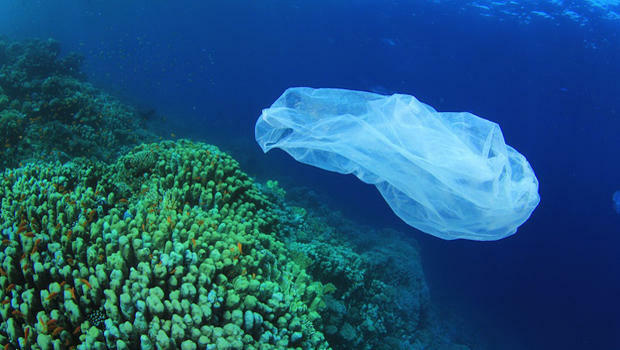 Particularly, plastic bags can result in the drowning of some marine animals, as they are unable to reach the surface for air. 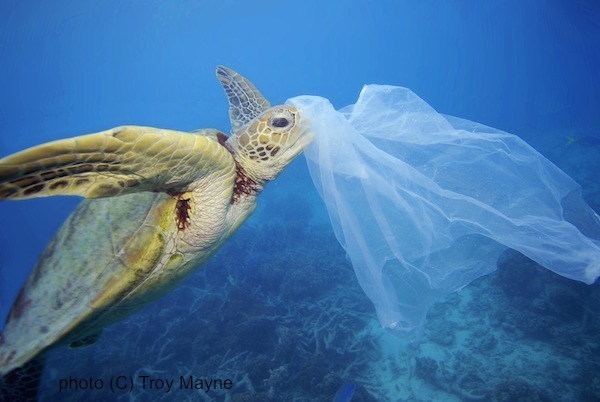 Sea Turtles are often attracted to floating plastic bags because they commonly mistake them to be jellyfish. When a sea turtle mistakes a plastic bag for a jellyfish and consequently consumes the plastic bag, it results in a slow and painful death due to blocking the digestive system. Overall, plastic and other trash is hazardous for marine life. How much plastic is in the ocean? Scientists estimate that there is one hundred million metric tons of plastic debris in the ocean. As the ocean continues to be filling up with plastic and other trash, it creates problems for marine life and affects the health of the ocean. First off, plastic decomposes very slowly. This is problematic as marine life commonly mistake plastic as food and die as a result. Additionally, as trash degrades in the ocean, it uses up oxygen. This can result in causing oxygen levels to become low, thus, marine life is unable to thrive as it would normally. Let’s not forget, as plastic and other trash decompose in the ocean it can result in releasing nasty toxins and contaminants into the water. According to reports, “some types of plastic begin to break down in the ocean within one year, releasing potentially toxic bisphenol A (BPA) and other chemicals into the water” (Wired). These toxins result in serious implications that disrupt the quality of life for marine life. For instance, toxins released from plastic into the ocean can “disrupt hormone function or cause reproductive problems in animals” (Wired). Check out this great video by Project Aware. One of the best ways we can help keep the ocean clean and stop harming and endangering marine life is is to stop treating the ocean as a trash can. Let’s all keep trash out of the ocean. Another way we can help keep trash out of the ocean is by recycling.